Tile Grout - MUHU (China) Co., Ltd.
During grouting and 2 days afterwards, the temperature of the substrate, grout and tiles must be kept above 4℃. Depending on fix, tiling substrate and -conditions, grouting can be done in 1-3 days from tiling. The tile gap must be clean, solid and dust-free. Water-soluble plasters must be removed. The powder is always mixed into clean potable water. Mixing ratio: approx. 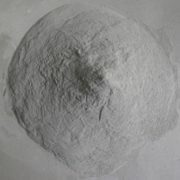 7.5 liters of water/ 30 kg of powder (7.5 / 30 kg). The powder is added into water with a drilling machine beater till it is mixed uniformly. The fix is left to dissolve for approx. 5 minutes and then mixed shortly again. It should be used up within 4~6 hours from mixing. Tile grout is packed in 30kg bags. The shelf life is 12 months in original sealed bags in dry storage condition.